Happy 4th of July to all of our valued customers! 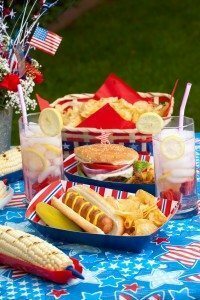 With the 4th of July upon us we start thinking about fireworks, grilling, parades, family, friends and celebration. The last thing many people will think about is the toll that the hot weather is putting on their Air Conditioner. If you have not had your system checked on yet this summer, it is not too late. Call Comfort Central today to schedule your air conditioner’s annual clean & check. With your system running at its optimal performance you will not have to worry so much about if your house will still be cool after you get back from the fireworks show. Now you can keep your focus on your family and friends and enjoy the weekend. Previous Article Previous Article: Why you need a backup generator!